Many rappers have multiple styles now a days, different flows with a different experimentation of how they rap and create music. Dj-V on the other hand... well... he really doesn't try to follow those guidelines and trends that the mainstream displays everyday. 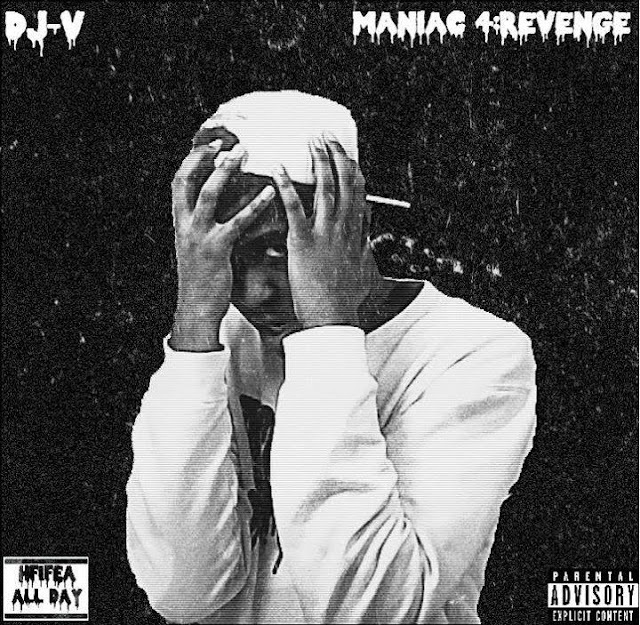 The 21 year old gives you his project "MANIAC 4:REVENGE" is a television-horror movie inspired Mixtape that features six tracks that string together like scenes in a film. This was a much needed breath of fresh air, a truly authentic artist showing amazing creativity with lyrical flow.